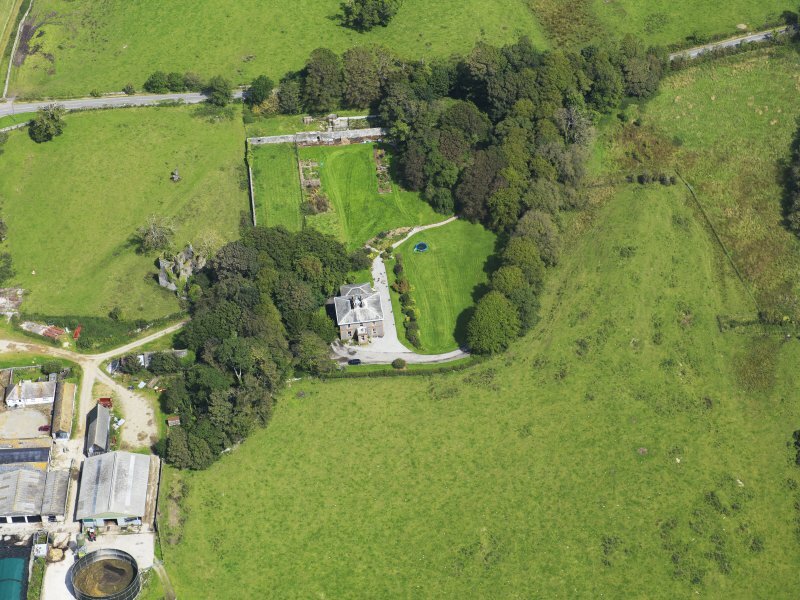 Oblique aerial view of Borgue House, taken from the S.
Oblique aerial view of Borgue House, taken from the ENE. 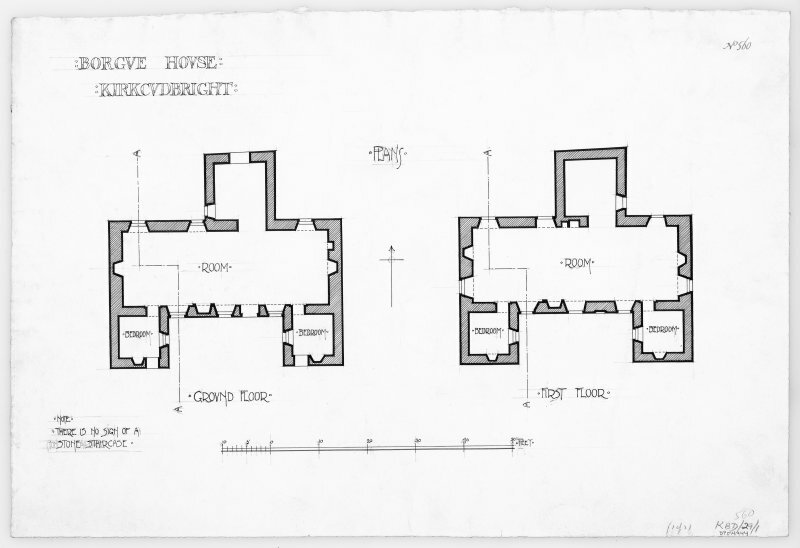 Plan of ground and first floor. 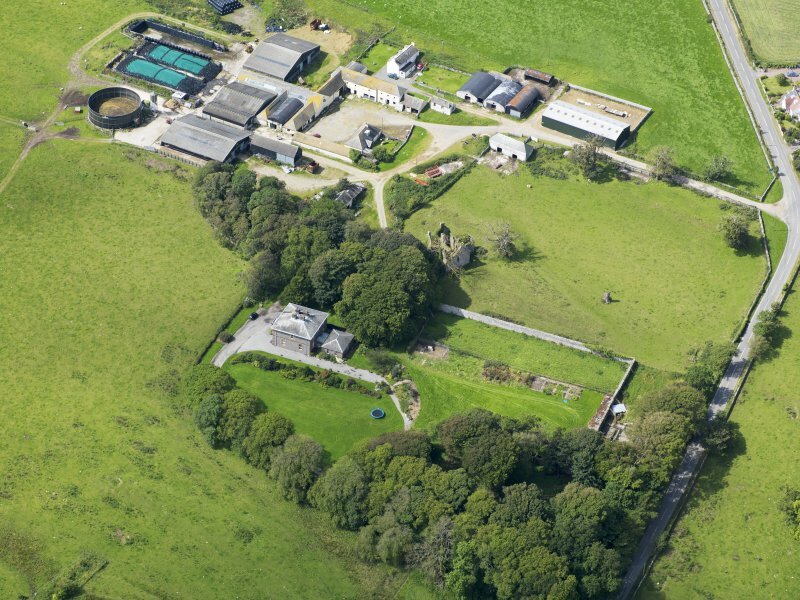 Oblique aerial view of Borgue House, taken from the SW.
Oblique aerial view of Borgue House, taken from the WSW. 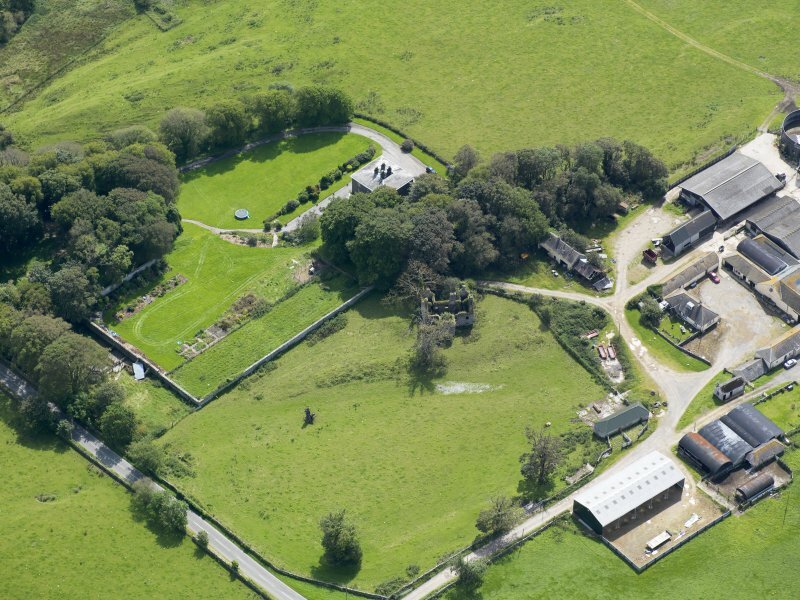 Oblique aerial view of Borgue House, taken from the NNW. 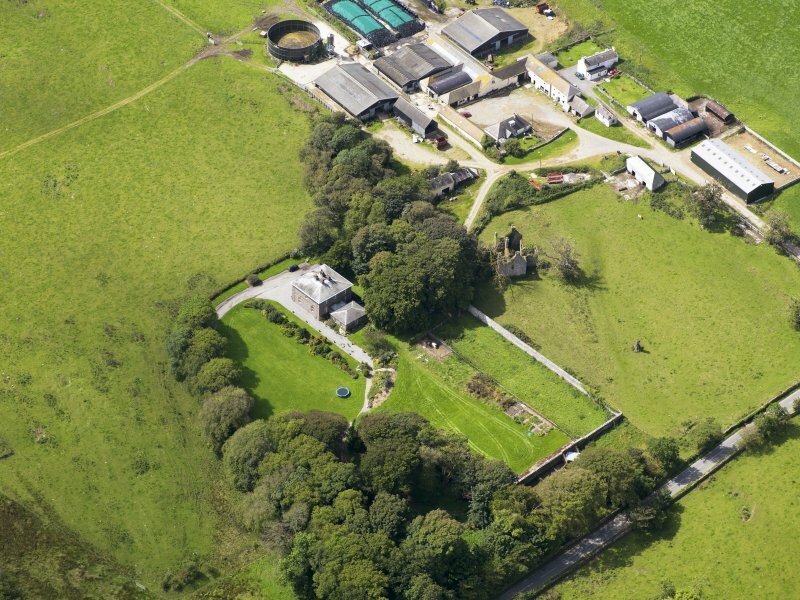 Oblique aerial view of Borgue House, taken from the NNE. 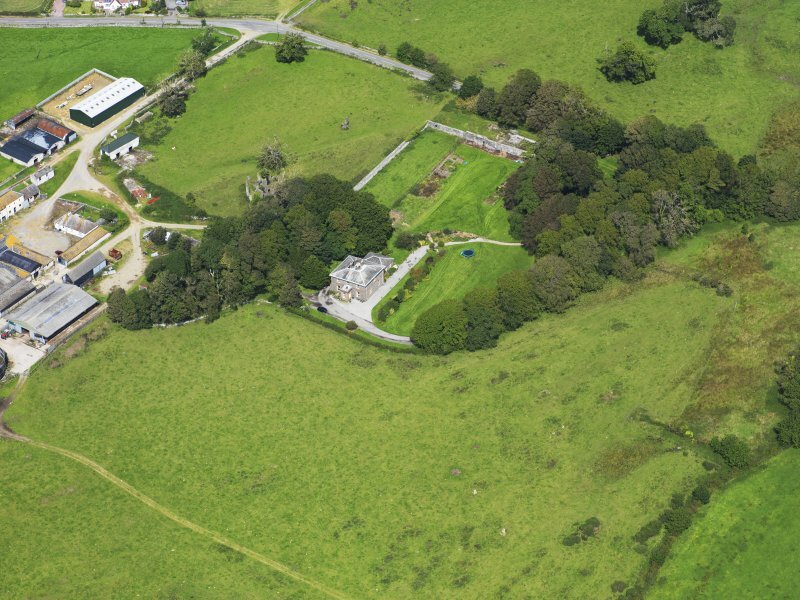 Oblique aerial view of Borgue House, taken from the NE. 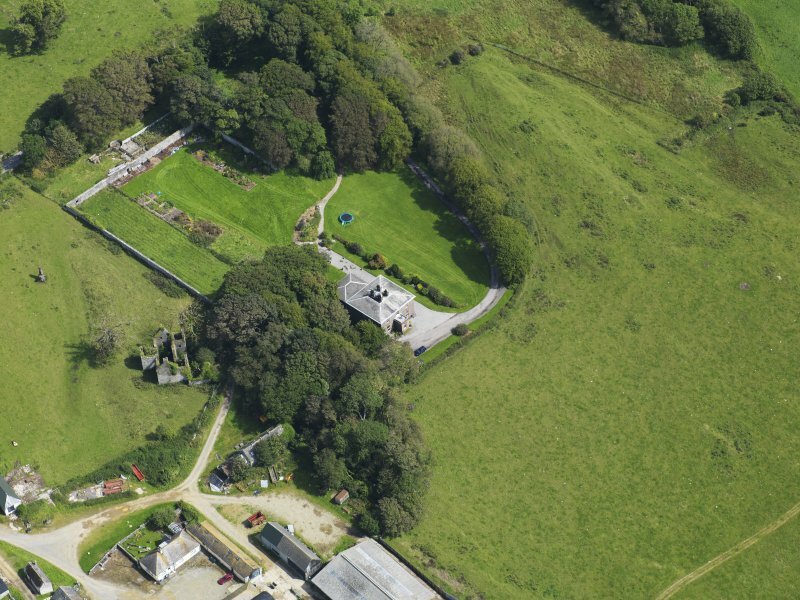 (NX 6334 4820) Borgue Old House, now ruinous, originally dates from the late 17th century, when it was L-shaped on plan, the main block being 48' long with a 30' 3" wing projecting to the SE. A second wing, which projects 10' 5" and is 18' 10" broad, has been added to the SW angle probably at a later date, while a projecting wing which probably contained a timber staircase has been attached to the N wall, so that the house is now E-shaped, the inner arm of the E being reversed. 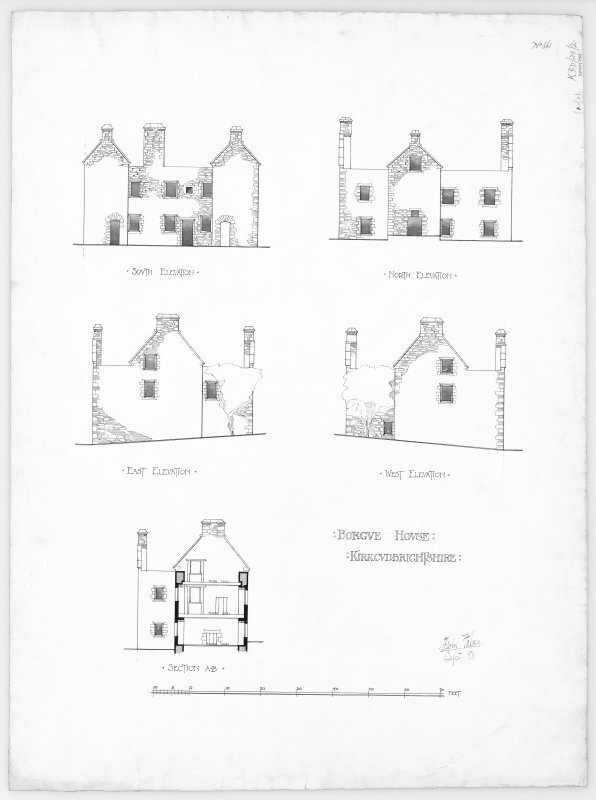 It has been a substantial building of two storeys and an attic. 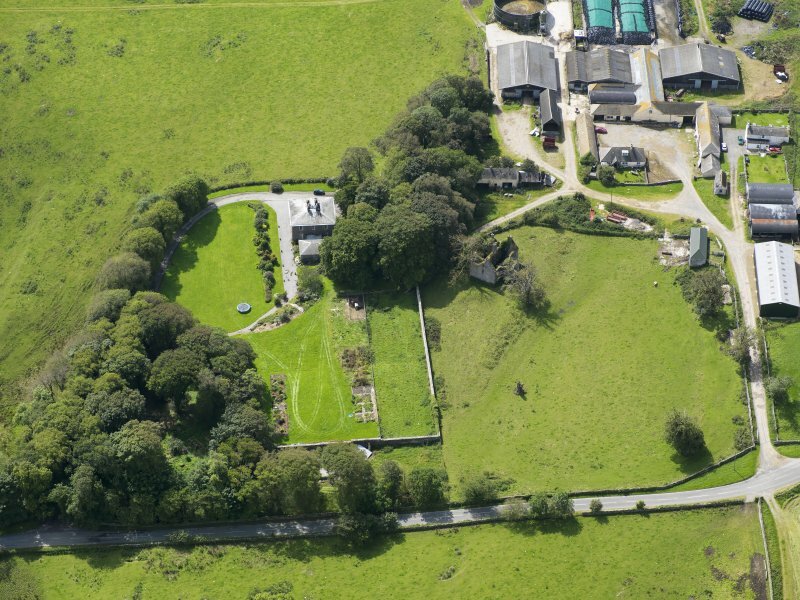 Borgue Old House (name confirmed) dates from 1680 (date stone set in garage lintel at Borgue House) when it undoubtedly measured overall 15.0m E-W x 6.0m transversely with two contemporary wings projecting from the SE and SW corners. A further wing 4.4m x 4.6m projecting from the north wall was probably added at a slightly later date. Visited by OS (RD) 5 February 1971.